SALT LAKE CITY — Private brand expansion has been a major priority for Amazon with several new labels being introduced every year. According to a new report by eCommerce analytics provider One Click Retail, Amazon is now slowing their private brand expansion in favor of introducing a number of Amazon-exclusive brands. Unlike Amazon-owned private labels, these brands are owned by manufacturers like Perrigo and First Quality while still benefiting from the high visibility that comes from being an ‘Amazon Brand’. Basic Care, launched in August 2017, is owned and manufactured by Perrigo. Basic Care over-the-counter medicine is the Amazon-exclusive alternative to Perrigo’s own Good Sense brand, and as of Q3 2018, has now surpassed the latter in market share on Amazon.com. Basic Care controls over 15% of O-T-C sales, while Good Sense has dropped from over 20% in January to as low as 9% during Q3. This equates to average weekly sales for Basic Care of nearly $250K, led by antacids ($85K) and Pain Relief ($65K). “This illustrates the competitive advantage of being an Amazon-exclusive brand, giving manufacturers a significant boost to their visibility compared to other brands (even their own) by being labeled as an Amazon Brand,” said Peter Andrews, director of insights at One Click Retail. The diaper category has served as a laboratory for Amazon’s private label strategy. After some initial failures in this category, Amazon found success with the Mama Bear brand, which grew in sales by over 40% from Q2 to Q3 2018, reaching average weekly sales of approximately $200K. 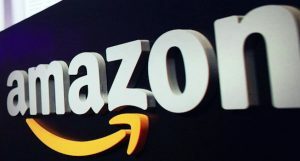 While Amazon has continued to show their commitment to Mama Bear diapers, supporting them with a series of promotions in mid-July and early August, Amazon has also partnered with First Quality to introduce a new line of Amazon-exclusive diapers. “Given the popularity of Mama Bear diapers and the enviable growth since the brand’s launch, it’s a very smart strategic move for First Quality to capitalize on the benefits of being an Amazon Brand,” said Peter Andrews, Director of Insights at One Click Retail.